Through injury and laziness, this has been a short-distance year, but April has things back on track! April started with a 10 mile race with no training. This then lead me to take some time to heal up! Now I am working on building a solid base to prevent my annual injury.. What is coo, is that this month has been my longest mileage since March of 2012. (It seems I have been pretty lazy.. for a year.) I ran a total of 39.6 miles in 5 hours and 47 minutes and finally went over 100 miles for the year. 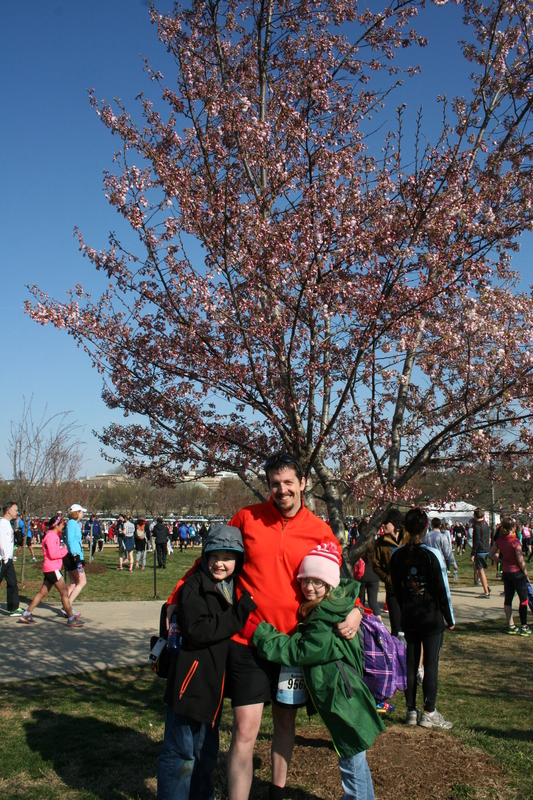 April held one race, the Cherry Blossom 10 mile run, and I set a PR for the distance. I again registered for the Marine Corps Marathon, in a herculean one hour and change process… But that was actually in March. Trust me, it deserves mentioning.. I was emotionally traumatized until April. I ran my fastest pace this month at 7:22 for a 2.3 mile run, and a fastest mile of 7:11. So what are my Goals for may? Mileage: over 100 for the month would be nice, although that might be ramping it up to fast. Fix my closet shelf/bar that collapsed last night. And a Contest!!! If you want to know what the contest IS, stay tuned! I suspect it will be around May 19th as that is one of my favorite days of the year! I’m pretty pleased with April, and look forward to what May will be bringing! Wow! Jumping right into it with a 10 miler is ambitious. Establishing a new PR on that run is incredible. The time off to recover is predictable given the first two. Glad you stuck with it and got in some good miles in April! Continued success in May. Do you have a good training plan that you are following to be ready for the big one in October? I’d be happy to share the one that I’m working off of. It’s a modified 18 week plan that I bumped up to 30 weeks which started on April 1 and finishes with the MCM. Following the plan, for the most part, I logged 75 miles in April and will log another 75 in May. It’s less aggressive than jumping into a 10 miler, but should help you get there injury free. Let me know if you’re interested. I have tried following training plans before, but don’t have a whole lot of luck, but I would love to see your modified plan. This year, I think I have an idea of what I think my body needs in order to get ready for the big ‘ole 26. In the course of gathering countless over-use injuries, I think (maybe) I might actually be able to get ready for this one injury free! I’m suspecting my May will come in at around 60-70ish miles..
I’ll try to find a way to post my training plan on my blog so that it doesn’t look too bad and let you know. Like I said, it’s not aggressive, but it does require discipline. Running a marathon is not like running a 10 Miler or even a half-marathon, you have to train correctly. 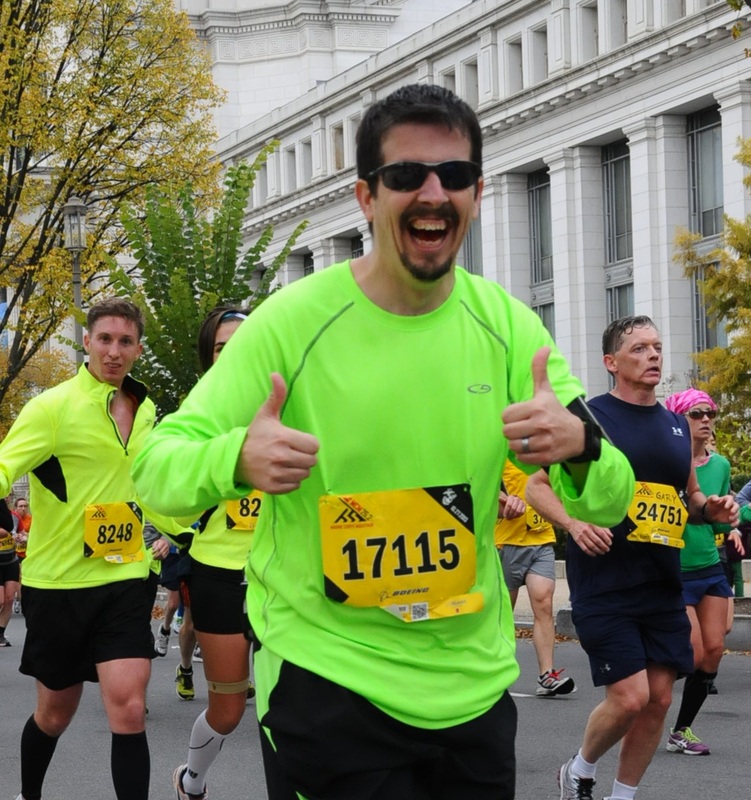 You may be one of those guys who can finish a marathon without training (I’ve done it before, but wasn’t happy with the experience at all), but the best bet is to find a plan that works for you and try to stick with it. Much better chances of staying off the injury wagon. No way in heck am I going to try and run a marathon without training for it!!! I have no doubt I would end up injured! My goal for this year is to train for it, and train slowly to keep that injury wagon away! I’ve posted my Training Calendar on my blog. This whole blogging thing is new to me so I struggled to get it in a format that would work, but I think I finally got it. Feel free to use what works for you, throw out what doesn’t. I provided a key of codes, terms, definitions on the main Training Calendar section with a new page under that section for each of the months. I thought about doing that – but I know if I set the goal. I will find a way to make it, despite the fact that I should not. I’ve rushed my buildup for two years in a row and never had it workout well.. You know what they say about people who keep doing the same thing, but expecting something different right? My Birthday is the 19th. I figure its a good goal, as it would really ruin my entire month to miss this one! 🙂 And you only have 6 more days until yours!